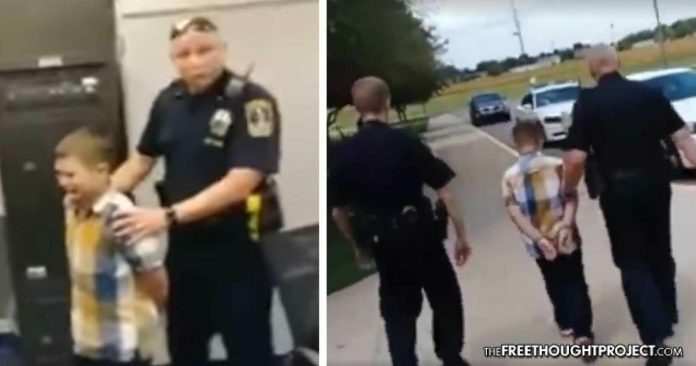 Franklin, IN — A heartbreaking video was uploaded to Facebook over the weekend by the father of a 9-year-old boy with autism, showing his son getting handcuffed and escorted out of school. Ronnie Shepperd, the boy’s father was there filming as his son was arrested at Needham Elementary School. “He’s watched the video several times. 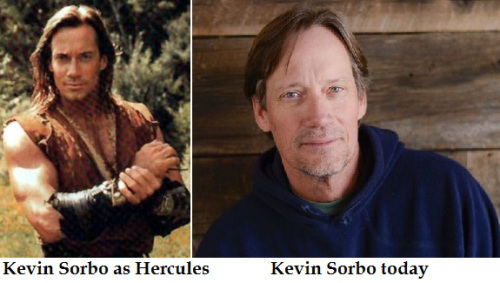 He still talks about it. He’s pretty traumatized over the whole ordeal. 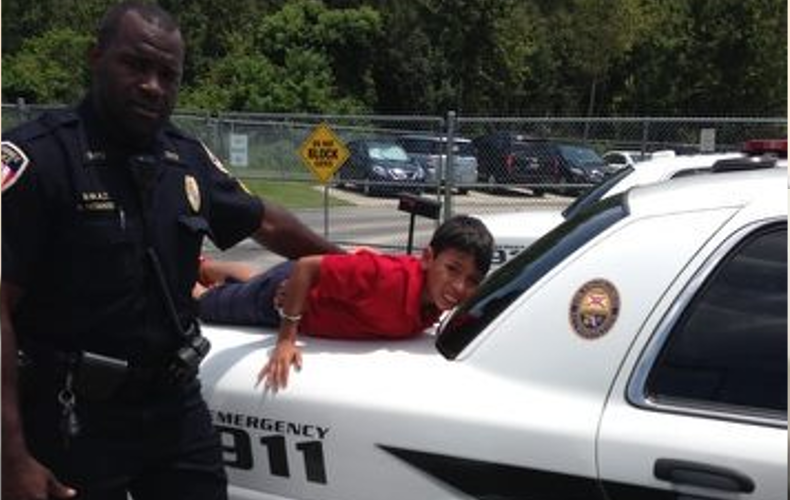 Any 9-year-old that’s being arrested, they don’t know what’s going on,” said Shepperd. According to Shepperd, his little boy was defending himself against bullies who continuously hit him on the playground. “Another student was bullying my son several times and he actually told the principal and a lot of staff members here who are in charge of recess about the bullying and they didn’t take no steps to make it safe,” said Shepperd. Another student who saw what happened said the 9-year-old and another boy got into an argument over a butterfly. He pushed the boy down and started choking him. When a teacher came by to try to break it up, the 9-year-old jumped on the teacher’s back and started choking her. Franklin Police Chief Tim O’Sullivan confirms that a student at the elementary school was arrested for battering another student as well as two teachers. The boy was charged as a juvenile with battery and criminal mischief. Shepperd says his son was kept for about 20 minutes at the Johnson County Juvenile Detention Center and then released to him. It is important to note that no injuries were reported from this instance at all and the boy was more likely than not just acting out his reaction to being mistreated. Shepperd says that this incident happened three months ago but said he held the video on his attorney’s advice until the case moved through the system. Luckily, it seems that justice prevailed and all charges against the young boy with autism have been dropped. “I decided it’s time to post them. 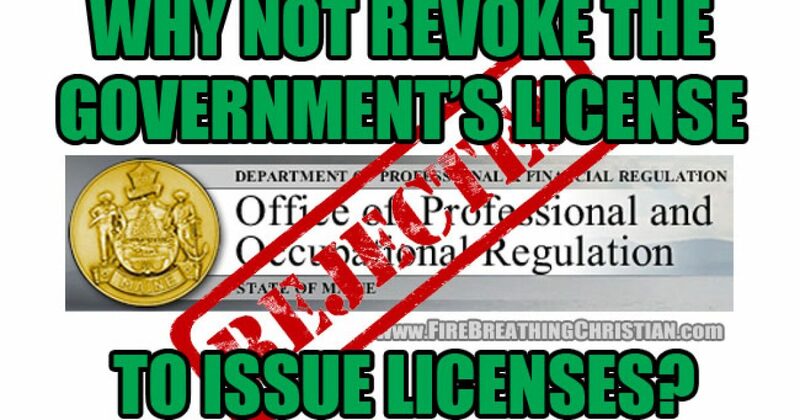 I think it’s time to put it out there and let the public know what’s happening in our schools,” said Shepperd. According to Shepperd, the 9-year-old is now at Earlywood Education Center in Franklin. His father says he’s doing “awesome,” according to the Indy Channel, and hasn’t been in any trouble since he’s been there. He says would like the boy to go back to Needham Elementary but says he’s scared for him because of the bullying. Even if his 9-year-old son did instigate a fight—he is only 9—getting arrested and taken to jail is an ominous sign of our current police state status in America. Sadly, young children with disabilities are increasingly finding themselves on the receiving end of police state violence while attending public school. 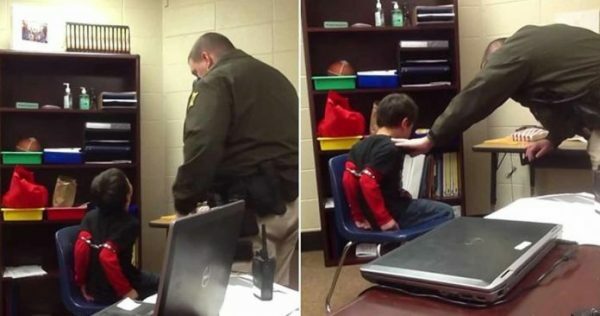 In an extremely disturbing video, which TFTP reported on in 2015, school resource officer, Kenton County Deputy Sheriff Kevin Sumner, can be seen handcuffing a sobbing 8-year-old boy, referred to in court documents as S.R. The child is so small that Sumner has to lock the child’s biceps together behind his back. What makes the case even more appalling is that the child has a history of trauma and has been diagnosed with ADHD. Colton Granito, an 8-year-old boy with autism, threw a tantrum during class. Instead of following the boy’s IEP plan, police were called. Colton was handcuffed, transported to jail, and forced to sit in a cell for hours wearing a straitjacket. He was subsequently charged with assault and sentenced to probation. In September of 2014, we reported on body cam footage showing a 9-year-old special needs boy handcuffed as his father pleaded with the officer to release him. And these cases contain only autistic children. If you truly want a glimpse into the horrid effects of the police state on all school children, take a scroll through our archives, at this link.